Over the weekend, Motor Man’s sister told me of a “photo op” near their Mom’s house. 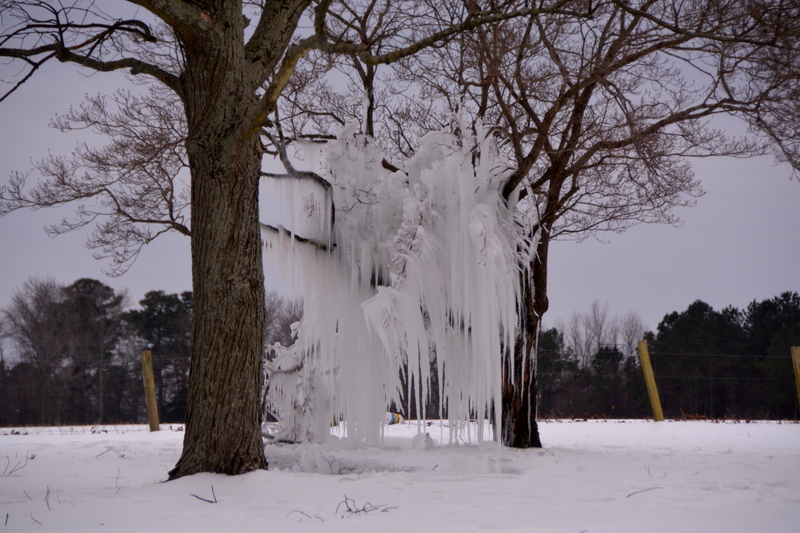 We’re not sure how this came to be, but in the yard of one of Motor Mum’s neighbors, a tree was nearly covered in ice. 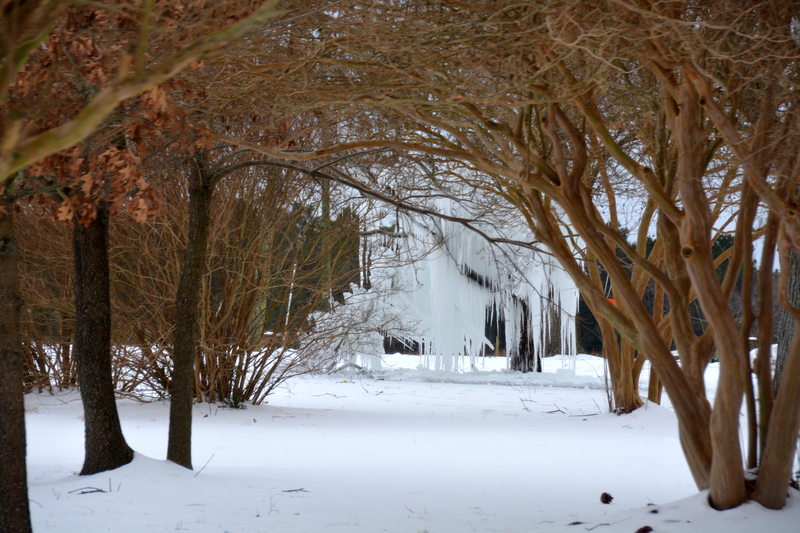 Perhaps a sprinkler was on at some point during our frigid temperatures last week? I think Motor Man took this next picture from his side of the vehicle. However it happened, it made for a beautiful sight. Thanks, Carolyn, for spotting this and letting us know about it. This entry was posted in Family, Traveling Days and tagged ice covered tree. Bookmark the permalink. Beauty in nature is all around us. Thanks for sharing! That is amazing! I wonder what the story was on why it happened. Inquiring minds want to know! WOW……that really is amazing – just had to be a sprinkler on by accident – but what a glorious sight it makes! Thanks for sharing – very nICE photos! It’s truly beautiful and I do appreciate that. But, at this point, I would love to see beautiful green leaves on that tree!! Seriously, you gotta wonder what’s up with that.. It is beautiful! Wow! That is a phenomenal sight and a phenomenal photo op! There are tall trees on each side of it. 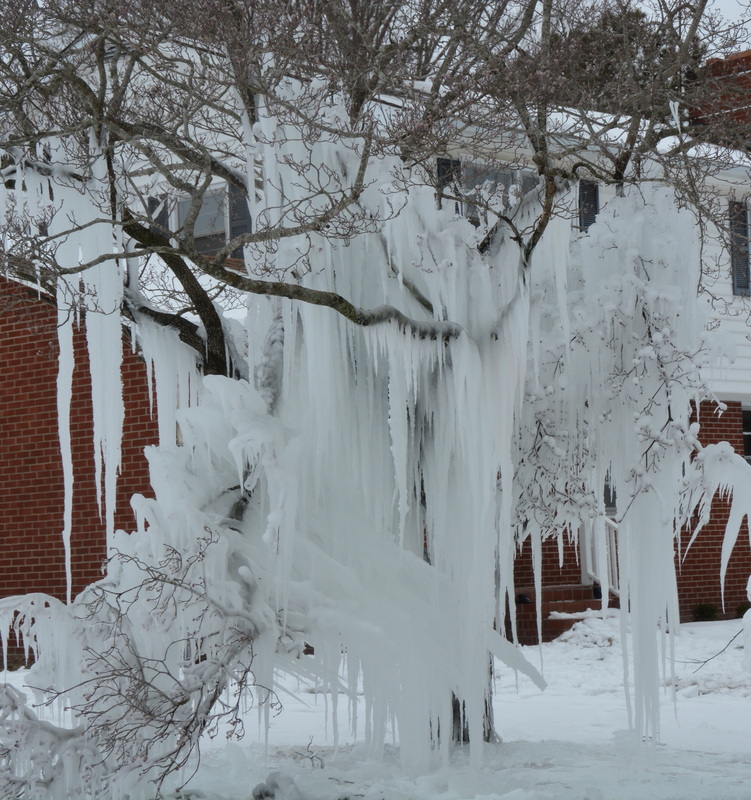 When it warmed a little, they were probably dripping water and ice onto the “ice tree”, but were also somewhat shading it. 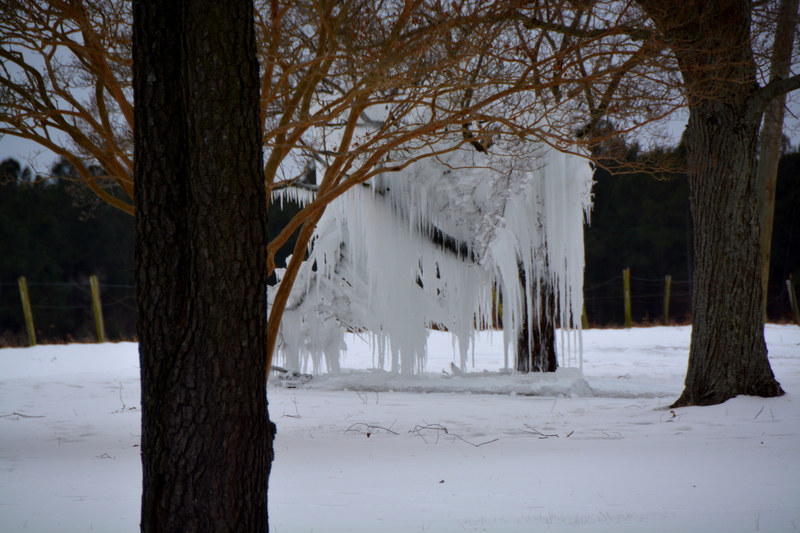 So, ice was not melting on it and at the same time the ice and water dripping from the tall trees was probably forming more ice on the “ice tree”. That’s my story and I’m sticking to it! Wow, that’s really spectacular, isn’t it? Makes the neatest photo!! WOW – that is beautiful and ‘a mystery’. What a lucky capture! Sights like that don’t come along very often. Great pics of something unusual ! A amazing group of pictures! Just beautiful! That is an amazing ice sculpture!